Hey gals, hope you all saved some of your hard-earned cash for Cyber Monday and recovered from Black Friday! Did you get any good bargains? For Cyber Monday we want to look at what is available in the online fashion rails, we have gathered up discount codes and some best buys out there just for today! This is a fantastic opportunity to pick up some outfits ahead of Christmas for all of the family occasions and inevitable nights out or even to grab a gift while the sales are in full swing! ASOS has 20% off everything for Cyber Monday with the code WIN20. Here are some items you could pick up from ASOS with 20% off the marked price. 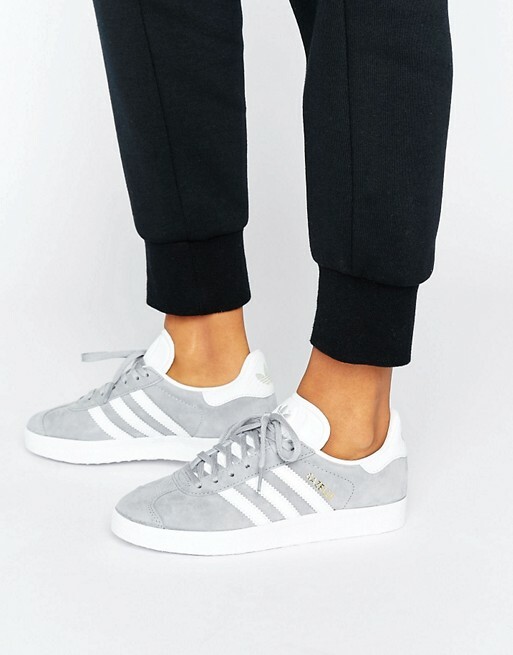 Adidas Originals Grey Gazelle Trainers - Shop Here. 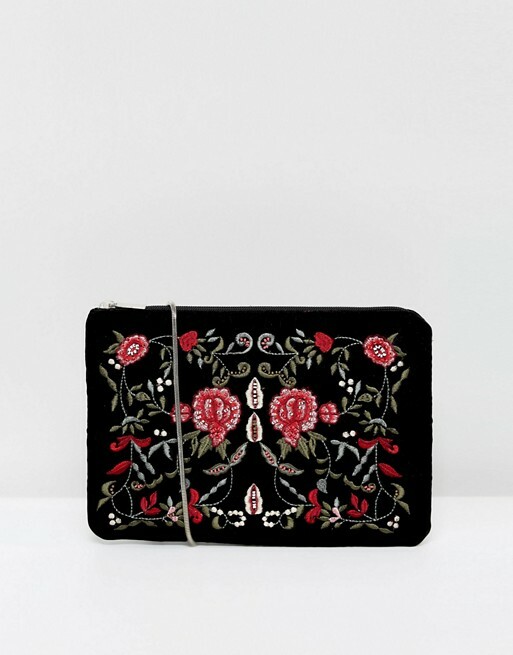 Fab party season bag! Shop Here. This cute polka dot dress could work for day or night. Shop Here. Missguided has 50% off everything today with the code CYBER50! Here are some top picks. This black waterfall jacket is super cosy for the cold weather - Shop Here. This black sequin top would be a life-saver for random nights out! Shop Here. Grab a little black dress for yourself for half the price! Shop Here. Half price winter boots! Shop Here. Boohoo.com has 30% off everything if use the code BOOM. Pick up this pink faux fur gillet with one third off the price! Shop Here. This belted faux fur coat is from Boohoo Boutique. Shop Here. Topshop is having a Cyber Monday sale on selected items and there are some gorgeous party pieces as well as casual everyday wear. 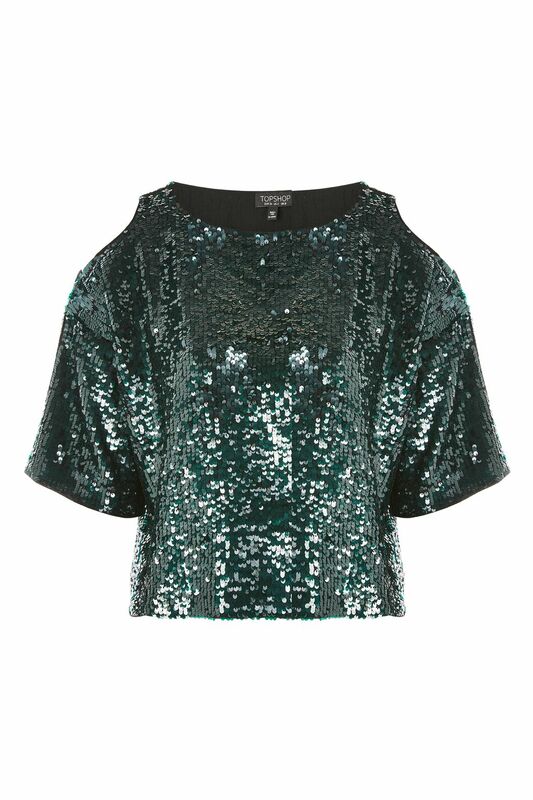 This sequin top hangs beautifully and is perfect for Christmas & it is half price! Shop Here. 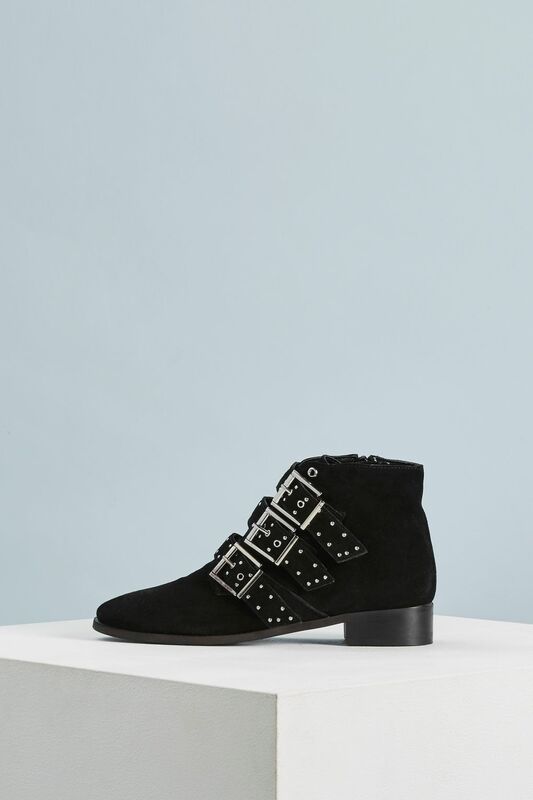 This is the kind of boot you can wear all year round and they are so affordable at half price! Shop Here. This coat is beautiful and if you are lucky enough to find your size it is a great bargain! Shop Here. There is 20% off everything in River Island online and it ends at midnight tonight! Discount is automatically applied at the checkout. 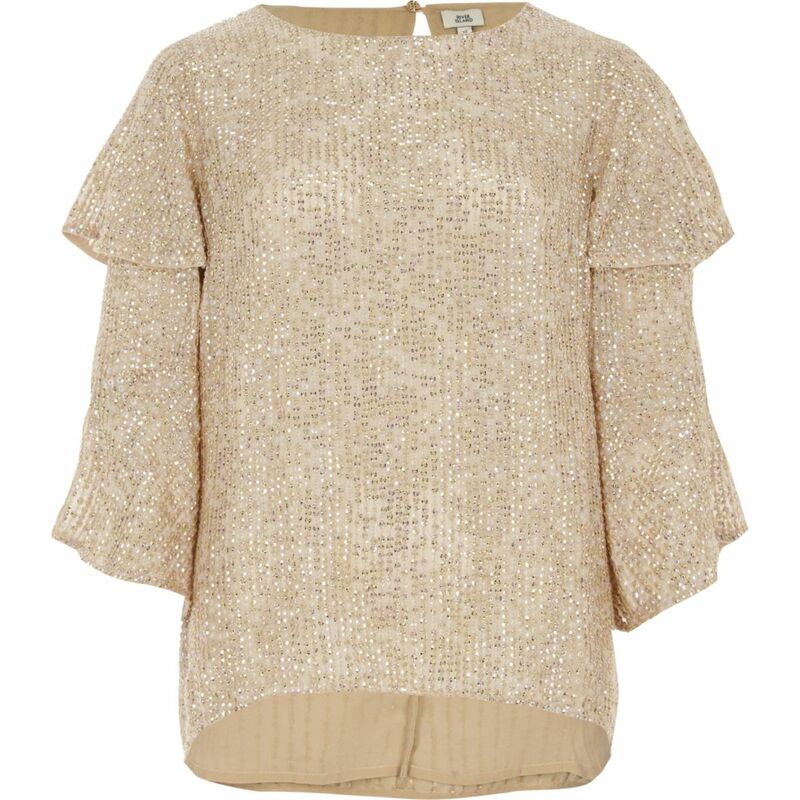 This gold embellished frill sleeve top would go perfectly with jeans for any night out over Christmas, a star buy! Shop Here. 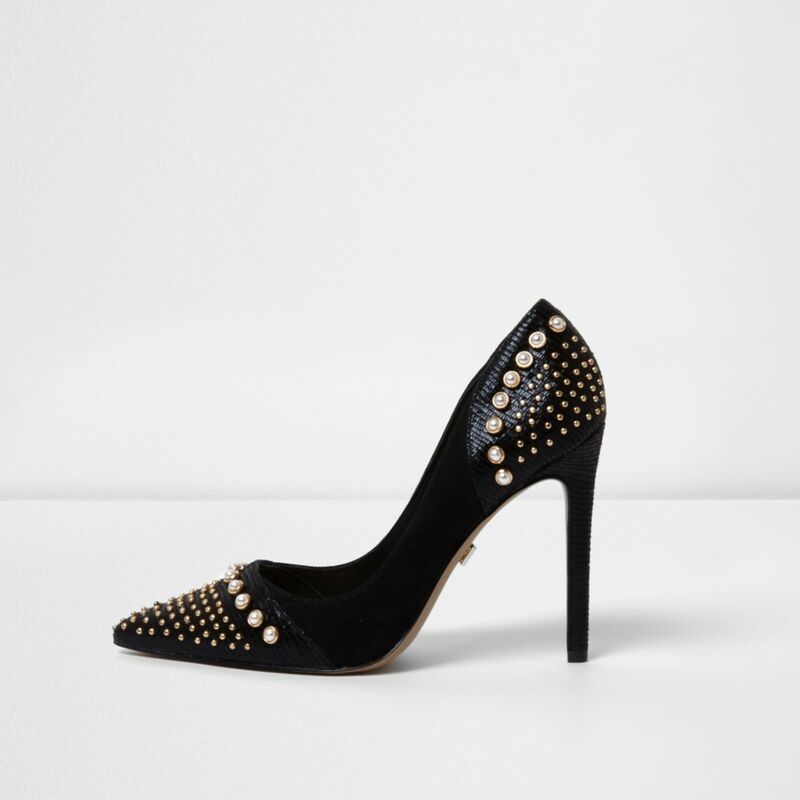 This heel is brand new into River Island and to die for, you would turn heads in these! Shop Here. Another gorgeous shoe new into River Island, get it while there is 20% off! Shop Here. If you are in the market for a new leather jacket or want to treat someone special check out this quilted biker style one. Shop Here. 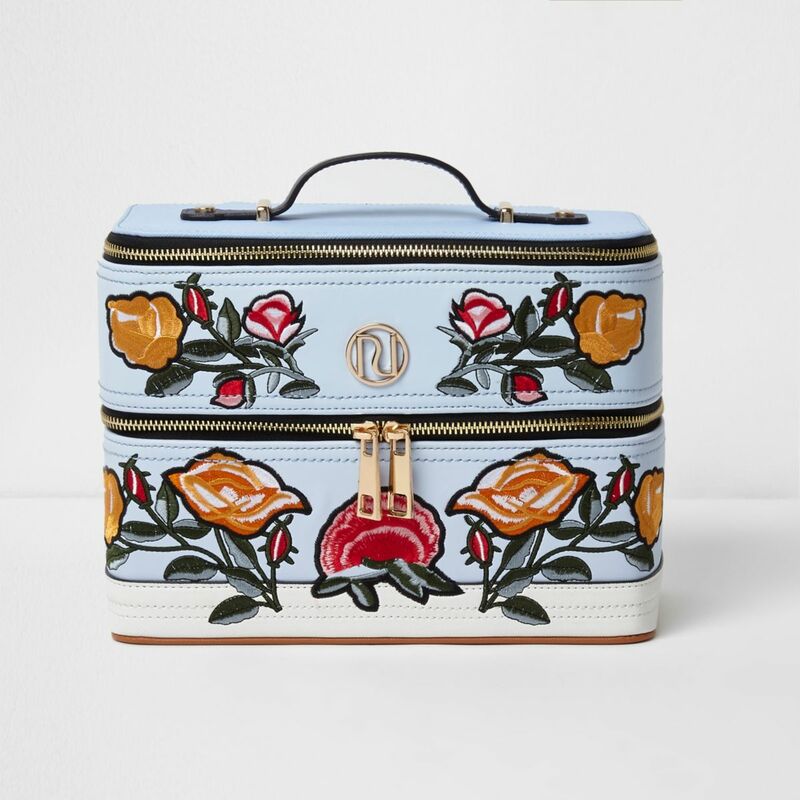 How fab is this makeup bag that would make a great gift? Shop Here. There you have it, some fantastic gifts and a great way to plan your wardrobe for plenty of nights out over Christmas. This is the one time of year when there is a sale on brand new stock so we might as well take advantage of it!